As the weather cools down in much of North America, a soothing soak in the hot springs is the perfect thing to usher in the new season. The U.S. offers a number of hot spring experiences, from hiking out to a secluded, forested spot, to booking a room at a high-end resort. Hot springs are often touted for their healing properties, attracting those seeking stress relief, healthier skin, and immune system stimulation – just in case you needed an excuse. Here are four of our favorite hot spring experiences in the U.S.
At Riverbend Hot Spring in the city of Truth or Consequences guests are housed in private, fully renovated mobile homes. The resort is also known for their attentive staff, who will hand-deliver morning coffee to the hot springs as you watch the sun rise over the Turtleback Mountains and the Rio Grande. Unlimited access to public springs are available for all overnight guests, and walk-in guest-passes are also available and include access to the pool area, deck, patio, and sauna. Rooms cost between $70–$150 per night and a guest pass is $10. 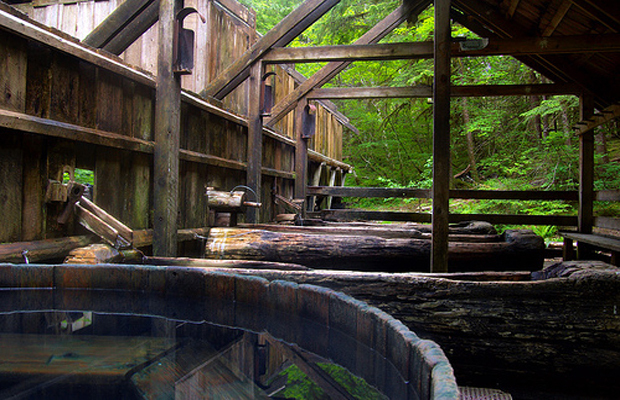 The Bagby Hot Springs are accessible only via a 1.5 mile stroll through the stunning Mount Hood National Forest. At the end of the path, you’ll find three bath houses with a combination of large cedar tubs for group soaks and long, private tubs carved from found logs. Although camping is not allowed at the springs, or along the trail, there are nearby spots for you to pitch a tent. It’s worth it to spend the night since the springs are open around the clock – a forested soak beneath the stars might be just what the doctor ordered. Cost is $5 per person. Goldmyer offers a truly private soaking experience, with only 20 people per day allowed access to the site. Visitors will experience a few separate hot spring pools surrounded by natural waterfalls, hiking trails, and picturesque campsites. The top recommended spot for taking a dip is inside a natural cave, overlooking the Snoqualmie River. Cost is $15 for adults, $10 for seniors, free for children (17 or younger), and $5 per person, per night for camp sites. 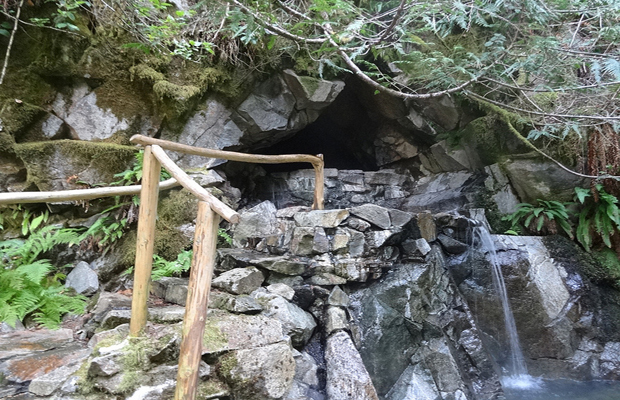 Set in a ghost town in an alpine valley, Dunton Hot Springs provides a way to enjoy natural hot springs in luxurious fashion. 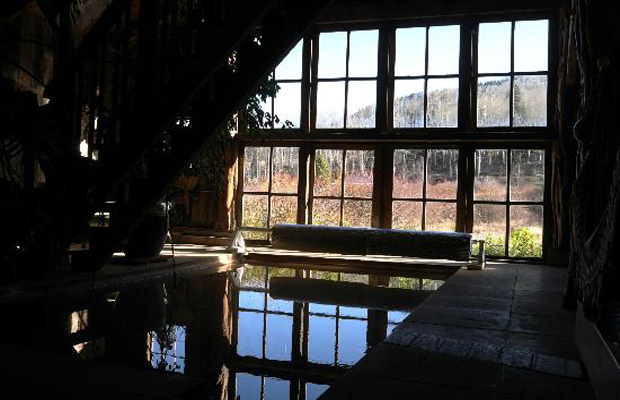 The many natural pools are surrounded by beautiful scenery; either outdoors encircled by pines, or indoors inside a renovated 19th century bathhouse. During an overnight stay, you’ll be bedding down in a spectacular, hand-built wood cabin. All accommodations are within a few steps of hot springs, waterfalls, and hiking trails – and all meals are included. The hot springs occasionally offer day packages, but you'll need to call ahead to check availability. Cabins start at $900 per night in the high season (until October 31), and start at $600 per night in low season (from November 1 until May 2013).